Founder and Partner at Focus2Comply. Over the last 20 years his professional experience has been based mainly on management, strategic planning and business operations, namely in the business development activity and building teams with specialized skills on ICT, Governance, Risk and Compliance. He was a partner and founder at QoS Network Consulting and ConceptSolutions, ICT consulting companies, focused on specialized Consulting and Engineering services, in the planning and technological consolidation of data network and security infrastructures. Also participated in merge processes for other ICT and managed ICT services companies. He began his career in the energy infrastructure sector, passing through companies such as ABB Portugal and later in the ICT sector at ParaRede-EBS, as Product Manager and Market Manager respectively. He studied Energy and Power Systems Engineering at ISEL. Completed a Marketing Program for Executives at UCP/FCEE and a Management Program for Executives at UCP/FCEE. Founder and Partner at Focus2Comply. 38 years of experience in the area of Information Technology, 30 of which dedicated to Information Security and IT Security. BSI, APCER and IMQ international ISO 27001 Lead Auditor. 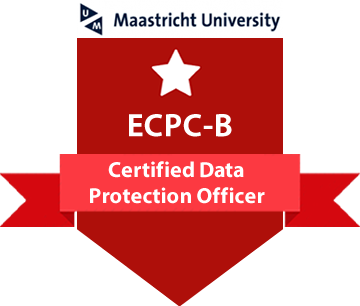 DPO (Data Protection Officer) certified by Maastricht University & EIPA. BSI ISO 27001 Lead auditor, Lead implementer and tutor, PECB ISO 27001 Master, CSA Cloud Security Expert, BSI ISO 22301 Lead Implementer. CISM by ISACA. Certified by the International Consortium for Organization Resilience (ICOR) as Datacenter Expert and Tutor. Vowel and ex-secretary of the Portuguese Technical Committee on Security in Information Systems (CT163). Accredited Security Auditor by the National Security Authority, since 2009. Infantry Colonel in the reserve, holds a degree and is Master in Socio-military Sciences, and doctorate in Political Science and International Relations. He held positions such as, in the Military Technical Cooperation in Sao Tome and Principe and Angola, as Adviser for European defense issues for a past CEMGFA (Chief of General Staff of the Armed Forces), as National Delegate in the EU Helsinki Task Force (EU military capabilities assessment in Brussels), as Deputy Chairman at HTF. He has been placed in the NATO and EU Military Delegation in Brussels. Researcher of the IDN and the Military Magazine. He has been speaker in dozens of national and international conferences. He has published 5 books and about 40 articles on strategy and international affairs. Carlos is a Network and Security professional with relevant industry certifications and over 10 years of working experience in different kinds of IT positions. Knowledge and experience in costumer-facing roles, support, engineering and forensics technical roles and work experience within high pressure environments. Self-motivated and dependable with a pragmatic approach to problem solving. Carlos holds a Computer Science Engineering degree from ISCTE and holds several professional certifications, such as CISM (Certified Information Security Manager), CISSP (Certified Information Systems Security Professional), ISSAP (Information Systems Security Architecture Professional), ISSMP (Information Security System Management Professional), CEH (Certified Ethical Hacker) and CLFE (Certified Lead Forensics Examiner). Holds a degree in Electrotechnical Engineering from IST, he obtained several technical certifications from the main technological manufacturers of this area over the last 20 years. He has performed functions with responsibility in the direction of technical teams, namely in planning and engineering projects of core IP networks. He was also co-founder of QoS Network Consulting and ConceptSolutions. Previously worked as a Network Engineer at ParaRede, responsible for coordinating teams in projects for installation and configuration of solutions, maintenance contracts and network audits. He participated in several reference projects in the telecommunications sector, having collaborated in the migration of IP Core networks from national relevant operators. Responsible for the practice of Service Management at Focus2Comply. Over the last 22 years, his professional experience has been based mainly on consulting functions, in particular in Service Management and Information Security in all sectors of activity in Portugal. He began his career in the ICT sector, including companies such as HP, GFI Portugal and Timestamp, as technical consultant, senior consultant and service manager respectively. He is responsible for the introduction of ITIL certified training in Portugal in 2005, as well as for the active dissemination of good practices in Service Management in public and private organizations. He studied Mathematics and Computer Science at the University of Minho. He completed his post-graduation in Project Management at ISLA in 2005. He has been a guest lecturer at NOVA IMS School since 2014 (IT Governance and IT Service Management). He is an international speaker (itSMF Denmark, Estonia, Finland, Portugal, Singapore, TFT14 Winter, SDI Shine).